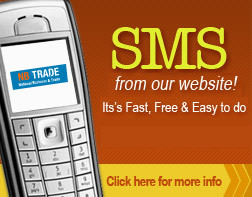 We make	it	simple	for	you	to	contact	a	business	by	sending	them	a	FREE	SMS	message from our website at any time. Why send them an SMS? 2. In some cases when you want to contact a business they may not always be able to answer your call or talk to you about your job. 3. Sending an SMS message to a business allows them to receive your message and call you back at a time that they are able to effectively listen and help you out more.